Interested in how we can help? Do you have questions or comments? A commercial and residential general contractor located in Little Rock, Arkansas. Founded in 2003 as a residential construction company with an emphasis on single family homes, we have worked diligently to expand into commercial and residential remodeling, commercial construction, multifamily developments, civil construction, and commercial building maintenance. 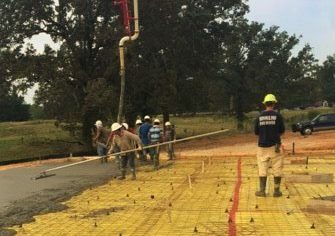 We have also developed a specific competency in governmental and HUD projects and are a leading contractor in the state of Arkansas in this area. At Craig Construction, we have the capabilities and resources of a large company with the flexibility and low overhead that allow us to offer our customers the best value in the area. We are experienced in all aspects of commercial construction and pride ourselves in diligently executing the work. Navigating the complex process of developing and constructing a governmental or HUD project is an area of great proficiency for our team. We excel in all aspects of civil construction, including site-work, site prep, earth work, utilities, storm drainage, and concrete packages. We are fully equipped to guide our customers from conception to completion of their home, investment property, or remodel. MCS is a division of Craig Construction established in 2015 to respond to the need for comprehensive building maintenance. Craig Construction General Contractors © 2019, All rights reserved.